Homeowners insurance is a necessity if you own your home, and it’s not something you can just cut like a Starbucks run if you want to save money. 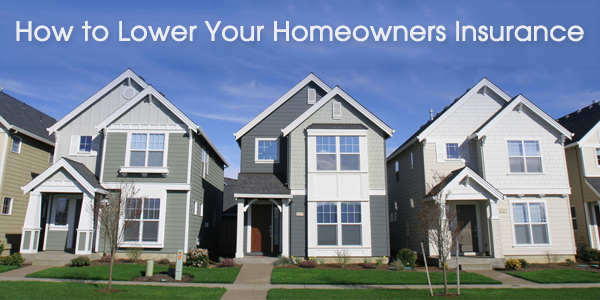 Let’s find out ways you can lower your homeowners insurance. This is an easy one – make sure to compare rates with different insurance companies. Even if you have been with one company for a long time, it’s still pays to shop rates and see if you can get a better deal. Don’t just let your insurance agent decide what the best plan is for you – read through your options and see if you can lower any coverage, especially for items that may have depreciated or if you can remove certain things entirely. Keep in mind that you want to insure your home for its replacement cost, not market value. Your insurance agent isn’t your best advocate – you are. Send your homeowners insurance to BillCutterz and save as much as 20% or more. BillCutterz negotiates large discounts on your behalf, allowing you to sit back and enjoy the savings. While you’re saving money on homeowners insurance, send them your other monthly bills such as cell phone, cable and satellite TV, internet, home bundles and much more. This isn’t something everyone can do, but if you can raise your deductible your rates will often go down significantly. The less claims you make, the lower your premiums will be. Avoid making small claims to keep your rates as low as possible. Use the extra money you save from a lower premium to save for small fixes so you don’t have to make a claim. When it comes to ensuring good credit, I think that more parents should be wiling to discuss the ramifications of late bill paying to their children before they ship out on their own. I know from my own experience at college that many of my peers were quite negligent when it came to paying their bills on time. Thanks for sharing!